Concrete is the building block of our modern economy. Hal’s Construction is the commercial concrete contractor that Portland area businesses, agencies and industrial facilities depend on for superior concrete pouring and finishing services. The commercial concrete services professionals at Hal’s Construction have met the commercial concrete needs of the greater Portland, Oregon area for more than 40 years. Commercial enterprises take business seriously, and that includes the contractor they choose to install, repair and maintain their concrete facilities. When a business is ready to upgrade or expand its facilities, retaining an expert commercial concrete services company is indispensable. The concrete work needs to meet or exceed the highest professional standards. Modern businesses simply can’t afford failed inspections or wasted time. Everything, including materials and craftsmanship, must be first class. That’s what commercial enterprises need, and that’s exactly what Hal’s Construction delivers. Hal’s Construction possesses the expertise, experience and equipment to provide superior commercial concrete services. Commercial structural concrete pouring and finishing requires a commercial concrete contractor that has seen and done it all before. Hal’s Construction is a family-owned business that has played an integral role in the enormous growth of the Portland area economy over the past forty years. Hal’s Construction has an unsurpassed portfolio of successfully completed commercial concrete projects in the greater Portland area. The Hal’s Construction team can provide commercial concrete services for any business or industrial application, including crawl space, poured wall and spread footings. Concrete slabs for basements, warehouses, slab on grade, post tension and other commercial and residential slab applications are also available. Project specifications are taken seriously, and quality is never sacrificed. 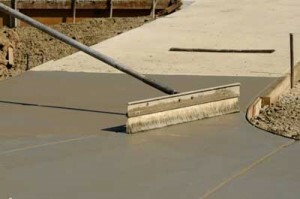 Portland area businesses, government agencies and industrial plants can rely on Hal’s Construction to provide premium concrete pouring and finishing services. Hal’s Construction provides an unwavering guarantee on all materials and craftsmanship. Call (503) 226-4999 today for a free project consultation and estimate.